The small meeting room is accessed by bi-folding wooden doors and adjoins the main hall. The small meeting room is 4.4 metres by 6.2 metres and is well lit and ventilated making it a comfortable space to host a meeting. 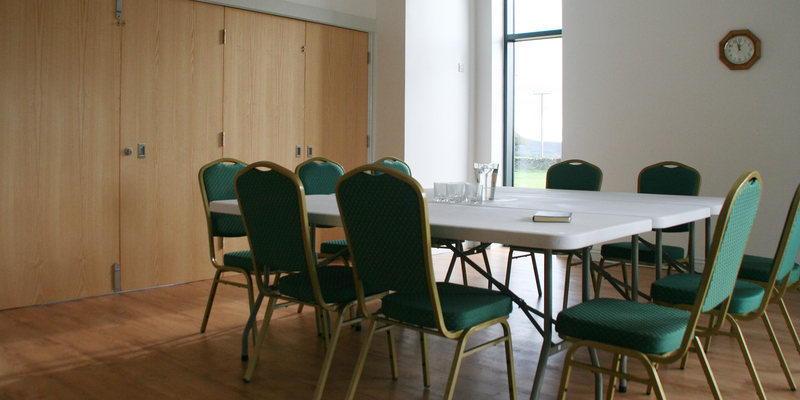 The meeting room is a flexible space which has direct access to the hall’s separate bar area, this means that it is an extremely useful space when you are also hiring the main hall as it can be used as a separate bar or event buffet area for example. To see the layout of the hall click here. To book the small meeting room at the Village Hall Norbury, Shropshire please call 01588 650242 or email hello@villagehallnorbury.co.uk.